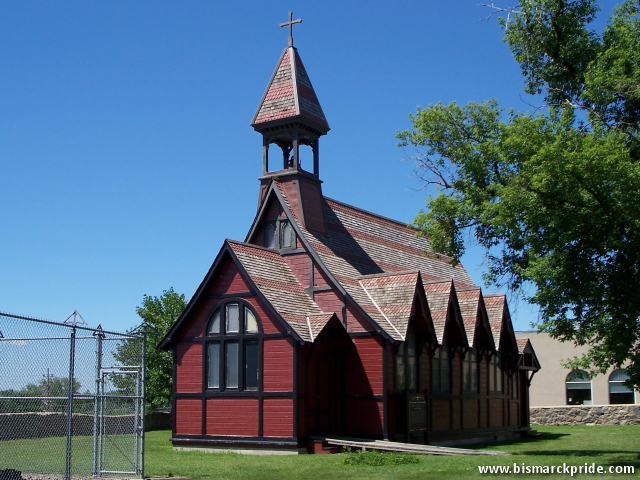 North Dakota’s oldest church, built in 1881. Later renamed Saint George’s Episcopal Church. First located at Avenue A & Mandan Street, then relocated to corner of 3rd Street & Rosser Avenue. Donated to Camp Hancock in 1965.